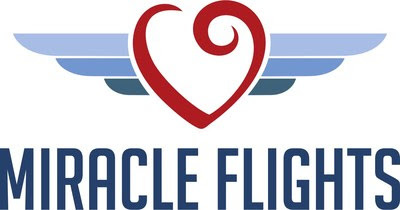 Miracle Flights, the nation's leading medical flight charity, today reported a total of 570 free commercial airline flights provided in January to those in need of specialized medical care far from home. Established in 1985, the Las Vegas–based charity has to date performed a total of 114,437 flights and flown more than 64 million miles to help increase access to life-changing treatments and valuable second opinions for children and adults with complex medical needs. Patients from 27 states and seven countries, ranging in age from 7 months to 80 years, flew last month to medical hubs around the United States to seek treatment for conditions as diverse as clubfoot, epilepsy, cancer, Sturge-Weber, Ehlers-Danlos, Angelman—and a host of other syndromes and diagnoses too rare or severe to be treated close to home. "For a majority of the children and adults we fly, there may just be one doctor or hospital that specializes in that condition. Miracle Flights bridges the gap of distance, so families don't have to uproot their lives and move closer to a treatment facility," said Miracle Flights CEO Mark E. Brown. "What sets Miracle Flights apart from other organizations is that we are not age restrictive nor are we diagnosis specific. We will fly anyone for any medical condition that requires specialized, distant care—and we'll fly them as many times as necessary." Residents of Miracle Flights' home city of Las Vegas can help the organization continue its mission by supporting "Mondays Dark" on Monday, March 5. Launched four years ago by Las Vegas performer Mark Shunock, "Mondays Dark" is a twice-monthly variety show that features top performers and celebrities from the Las Vegas Strip. Each performance benefits a select Las Vegas–based charity, raising $10,000 in just 90 minutes. To purchase tickets for the "Mondays Dark" performance benefitting Miracle Flights, visit www.miracleflights.org. Tickets start at just $20.